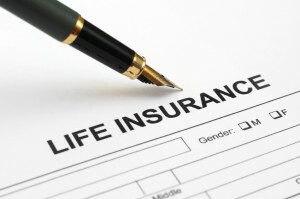 When it comes to life insurance we think in terms of leaving a large amount of money to our survivors upon death. But there is another alternative that is seldom used, but can better provide for your loved ones. Instead of leaving the full face amount of your life insurance policy to your beneficiaries, you can direct that the insurance proceeds be distributed to them periodically through installments. There is nothing magical or complicated about this process. All you need to do is make the election at the time you take your life insurance policy, and it will be handled automatically. Even if you have an existing life insurance policy, you can contact the insurance company and request that your benefits be paid in installments rather than in a single lump sum. Installments can be paid out in almost any fashion you choose, and can run as long as 30 years. You probably won’t need them running that long, but you can set up something less that will fit your family’s needs. And if you do need 30 years, it’s always nice to know you can do it. Why Set Up Installments with Life Insurance? What are some compelling reasons why you might want to set up installments, rather than leaving the entire face amount of the policy to your loved ones upon your death? When you set up your death benefit to be paid for installments, your life insurance premiums are actually lower – up to 20% lower. Insurance companies are able to reduce the premiums simply because they will have control of the proceeds for an extended period of time after your death. Insurance companies are actually investment companies – they collect premiums which are then invested in order to pay out claims later. The longer they are able to retain benefits, the longer they can keep the money invested, and that results in lower premiums to you. If you’re looking for a significant savings in your life insurance premiums, directing that your benefits be paid out in installments is one very easy way to do it. Naturally, the longer the period of installment distributions, the lower your premiums will be. Beyond saving money on the premiums, you may decide that you feel more comfortable having the death benefit paid out over several years, in order to better provide for your loved ones. This can be especially important if you are the primary wage earner in your household. It’s true that there are numerous expenses that occur at the time of death, but the greater need for insurance protection is often in the years that follow. Replacement of lost wages is the most obvious need, and that will go on for many years after your death. An installment plan will assure that income will be available for many successive years. Distributing your benefits through installments can also be a way of preventing your loved ones from mismanaging the money. Sometimes this is due to the inability of survivors to manage money, but other times it is the result of emotional stress. In response to stress, your loved ones might spend money less responsibly than they would under normal circumstances. Judgment can be impaired by the loss of a family member, and installment payments can prevent this from happening, particularly in the first few months following your death. Installments act as a money management tool. Like a salary, it will represent a regular income to your family in your absence. Even if they were not skilled at money management early on, the installments will provide them with an opportunity to become better at it as time goes on. If you’re shopping for life insurance – or if you’re ready have a plan in place – give serious consideration to converting the death benefit to installments. Next to taking the life insurance policy itself, this could be the best gift you can give your family after your death.